What made you want to join the 501st? Helping people in need and to look damn good doing it. 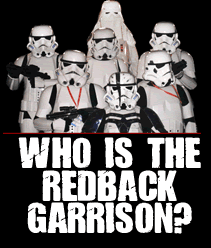 I love all things geeky and supported the 501st for a good many years, whilst having an overwhelming desire to one day join the ranks of the Redbacks. I love the comradery, the social aspects and the helpfulness that fellow members offer one another. All working together to help the less fortunate while bringing a smile to children and adult faces alike. What costumes do you have? What is your most memorable troop? My first troop, Central Station, Brisbane City. Super nervous, didn’t know any of the fellow troopers and wasn’t really sure what i was in for. Within minutes of meeting everyone, it was like i was part of the crew. 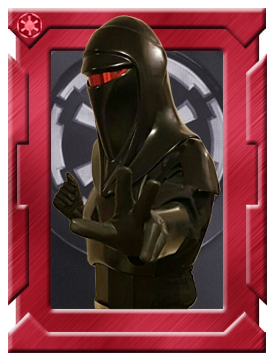 My first troop was memorable as i had Darth Vader, 2 x TK’s, 1 x FN and an IC. Everything i had wanted in a troop. It was from that moment i knew that i had chosen the right path. What is your favourite Star Wars character? Ive always had a love for Galen Marek. His origins, his defiant nature, his use of The Force. The guy was just a force to be reckoned with (no pun intended). This entry was posted on Friday, March 10th, 2017 at 11:43 am	and is filed under Trooper Spotlight. You can follow any responses to this entry through the RSS 2.0 feed. Both comments and pings are currently closed.